You are here: Home / Riding Safety / Do You Have A Troxel Cheyenne Rowdy Riding Helmet? A Troxel Cheyenne Rowdy Equestrian Safety Helmet would be a great place to start your safety program. When riding your horse, your safety is extremely important to you and if you haven’t thought about it, maybe you give it serious consideration. 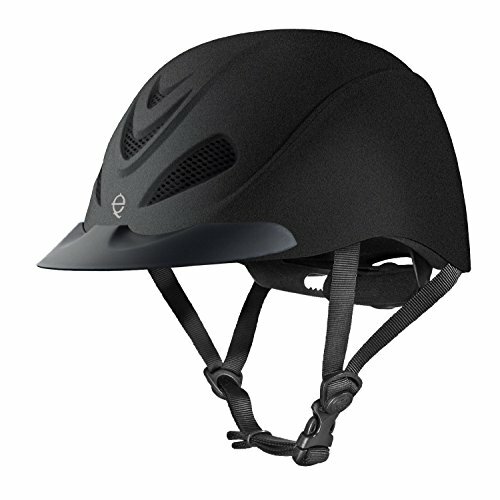 This helmet is one of Troxel’s ultimate western helmets. This safety hat is built for the ruggedness needed for the western horse rider. It features a rugged, premium leather finish as well as Troxel’s Trademarked SureFit Pro! The Cheyenne Rowdy also comes with a state-of-the-art moisture-wicking headliner. First let’s have a discussion about what the Surefit Pro is about. The Surefit Pro incorporates elastic straps that self adjust to the size and shape of the riders head. With ultra-plush padding, which provides an unmatched level of comfort and stability. Many riders talk of how comfortable this helmet really is. An Amazon customer says “I have 2 other helmets, and this one by far is the most comfortable. It is not hot to wear, and I actually forget it is on my head”. The Rowdy is a favorite among western style riders who wish to maximize their safety. This helmet is physician designed to protect the rider against any major brain damage. A must look at for the safety features alone. Customers like the luxury look of the outside leather, and it is said that the leather helps to protect the helmet as well. This hat also breathes very well, so that your head isn’t getting overly heated on a hot day, or during a performance. One of the great points about all Troxel helmets is that they are comfortable to wear and don’t overheat. They breathe well in the heat of action. Another thing is that they basically self adjust to keep them safely on your head, during all types of activities you and your horse may be a part of. On the downside however, we do have one very large problem with the helmet that may very well be a problem for you. You will have to make your own decision, the Cheyenne Rowdy is not a low profile helmet, but rather it sits on top of a large head rather obtrusively. Some customers just don’t like the way it looks because it just makes my (large head look even larger). Just making sure you realize that this helmet is not a low profile helmet. 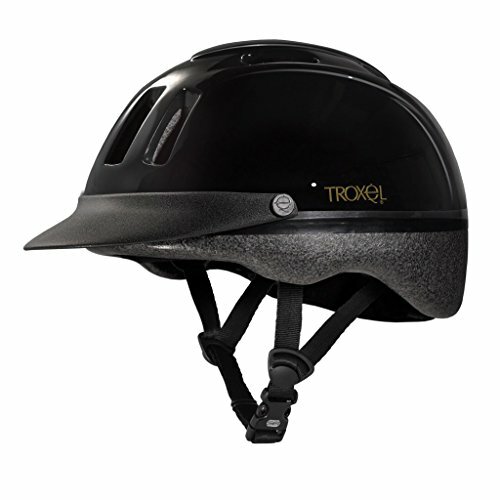 It is manufactured by Troxel the first (ASTM Approved) helmet manufacturer of western riding helmets. It is eligible for Troxel’s accident replacement program, with proper product registration. It will provide you great comfort and protection for five years. They recommend you replace your helmet every five years so that all of the technologically designed parts of the helmet still are working to the max, to keep you ultimately protected. They pay active attention to advances in head protection technology, so you know this is the best head protection you can buy. When researching the company you find several unique things about them that there are to like. One is that the company’s founder and Chairman, Richard Timms, MD. Dr. Timms’ background as a specialist in critical care, and as a research professor at The Scripps Institute and the University of California, provides the foundation for Troxel’s advanced research and innovative products. Troxel is the only helmet producer that manufactures and sells equestrian helmets that are physician designed. The following list is from Troxel’s own website. Just take a look at all of the industry firsts that they own. First to introduce an ASTM approved equestrian helmets in 1992. First to develop ventilated, light-weight, certified schooling and show helmets. First to introduce “All Trails style” certified helmets for Trail and Western riders. First to introduce a helmet fit system. First to offer the patented Phantom Flow™ ventilation system in show helmets. First to introduce helmet accident replacement program. First to offer removable washable headliners. First to make All-Trials equestrian helmet (Dakota). First to introduce advanced materials including rubberized paint coverings (Duratec™), and carbon-fiber. Some of the best prices today online come from Amazon.com. Amazon has a great reputation for fantastic customer service, quick order turn around time, and an unbeatable return policy. All tops in the marketplace. We have found the Resistol Ridesafe cowboy hat helmet to accomplish that which all ages of riders have been looking for answers about. I go into detail on the Troxel Cheyenne Rowdy Riding Helmet. 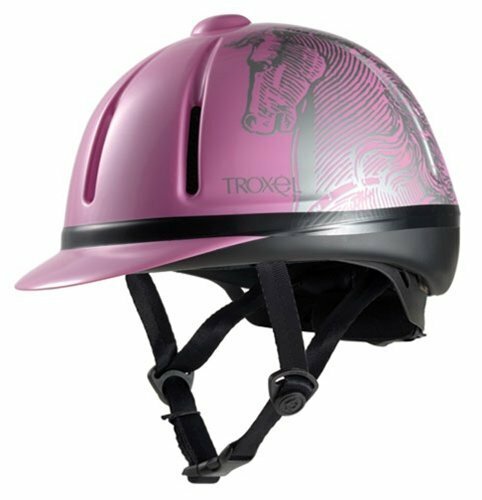 I discuss in a detailed review of why this Troxel riding helmet is a great choice for a safety riding helmet. Western Horse Riding can be dangerous, so help protect your favorite western horse rider by wearing a Troxel Cheyenne Riding Helmet.